Children between the ages of 3 and 4 years old are in a very distinct growing stage, where every day presents new challenges and exciting discoveries. Their emotions, physical capabilities, and social competences are being shaped at such an accelerated rate that there is a genuine need for a structured activity such as Martial Arts. The Lil’ Ninjas program is a fun and safe activity that teaches children what they can do with their bodies, why they should listen to their parents, and how to best care for others. As children go into Preschool and Kindergarten, it’s common to see a change in their behavior at home. The new social structure and schedule can be a difficult adjustment. The Tigers program reinforces the core values that both teachers and parents want to see in these kids such as focus, teamwork, self-control, and self-discipline – all while giving them a fun physical outlet through Martial Art drills, games, and mat chats. The 7, 8, and 9 year olds are at such an awesome age because they are figuring out who they are. If there is one thing that we instill in students at this age, it is a healthy self-confidence. We do this in the Dragons program by challenging them physically, engaging them mentally, and educating them socially. Students learn not only how to kick and punch, but also how to lead others, speak in public, and be their best no matter the circumstance. 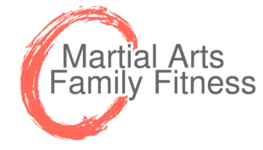 We are constantly hearing positive reports from parents and teachers about the students in our Youth Martial Arts program because they demonstrate respect for themselves and others. The fun and dynamic atmosphere challenges and motivates students to try their hardest and be their best while teaching them how to resolve conflict, stand up for themselves, and care for others. With A variety of memberships, there’s something for everyone!